We generally think of “wide-angle” as referring to lenses for full frame cameras of about 35mm or less (about 24mm or less for reduced frame, APS-C sized cameras). As the focal length of these lenses decreases their field of view increases rapidly. The physics of squeezing a larger and larger field of view into a frame of unchanging size causes these lenses to emphasize objects near to the camera, at the expense objects farther away. The classic mistake when using a wide-angle is to photograph those grand distant vistas, which appear so far away that little of any visual interest is created. The second problem arising from the wide-angles great field of view is that it just too easy to unwittingly allow distracting elements creep in to the edges of our frame. You have to be extra vigilant when composing with your wide-angles by carefully scanning the edges of your images. So what is the solution? It’s easy really, and helps to solve both problems created by your wide-angle lenses: find and use some foreground interest. Getting close to an interesting object in the foreground adds impact and visual interest. It can also help to create a sense of depth and scale in your compositions. And on top of this, it often helps, but never completely solves the problem of eliminating distracting elements around the edges of your frame. 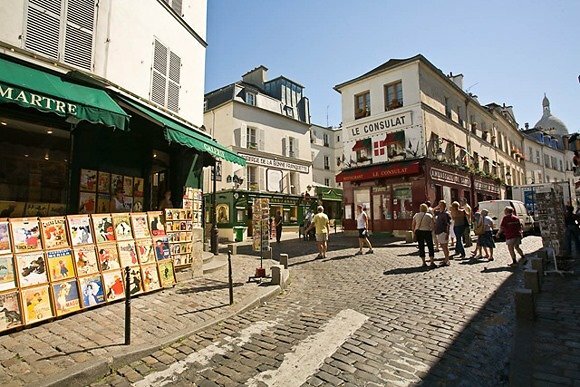 This image from Montmartre in Paris shows the all the classic wide-angle composition errors: no foreground interest to anchor it, and lots of visual clutter creating distracting elements in the frame. Both errors end up diluting the impact of the image. The row of fishing boats in the harbor of Cassis in Southern France provides a natural “leading line” to draw the viewer’s eye into the frame. 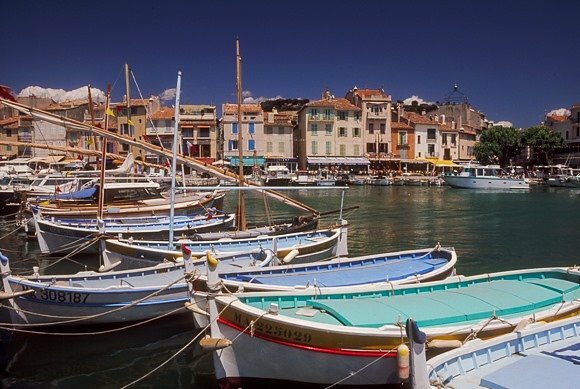 Cassis is itself a photographic paradise, and not just because of the scenic harbor. 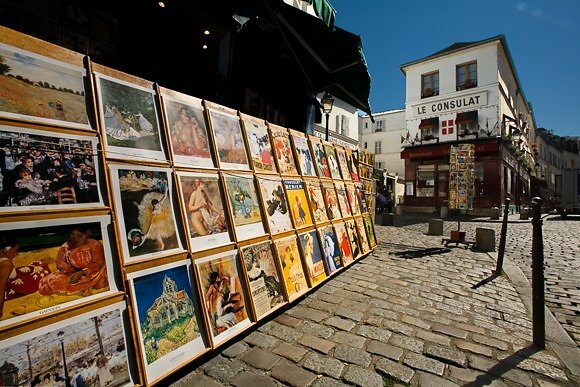 It’s also one of the towns we visit on our Provence workshop. If you have ever been to Venice, you will recognize this view immediately: everyone photographs it. Aside from being one of the quintessential Venetian images, it’s also a natural wide-angle composition. 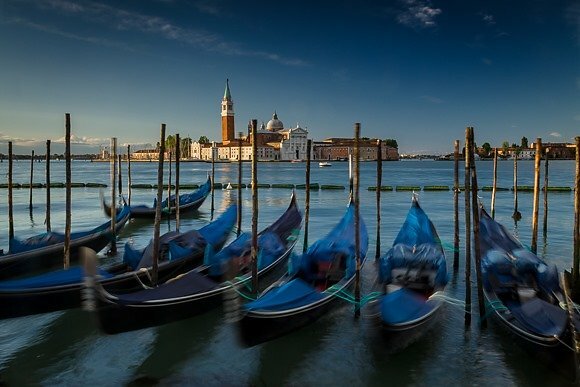 A sense of three-dimensional depth is created by the near-far relationship of the foreground gondolas and the distant cathedral of San Giorgio Maggiore. 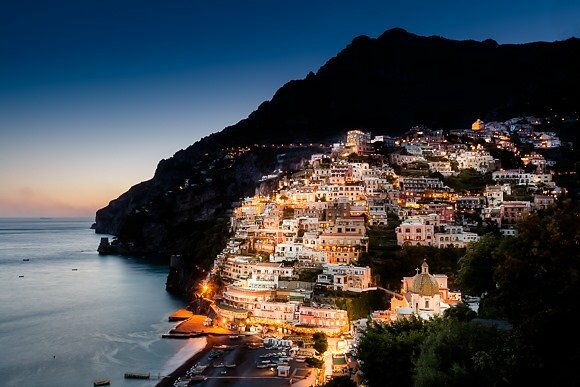 Even though they are not the dominant element in this composition, the foreground bushes on the lower right of this twilight image of Positano on Italy’s Amalfi coast provide just enough of a visual anchor to create a sense of three dimensional depth. Wide-angles are not limited to landscape images… try using a modest wide-angle of perhaps 35mm (24mm for APS-C reduced frame cameras) to include some of the surrounding environment in your people pictures…. (be careful that distracting elements don’t creep in around the edges!). 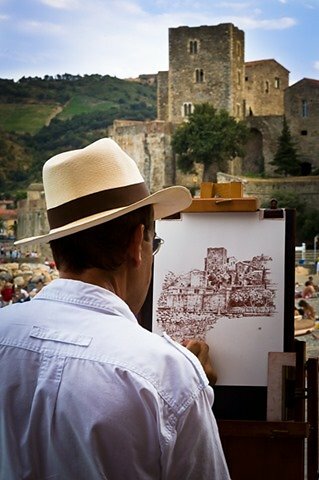 On the beach in Collioure, in the southern Languedoc region of France we managed to get the Artist, his art and the subject all in the same frame. 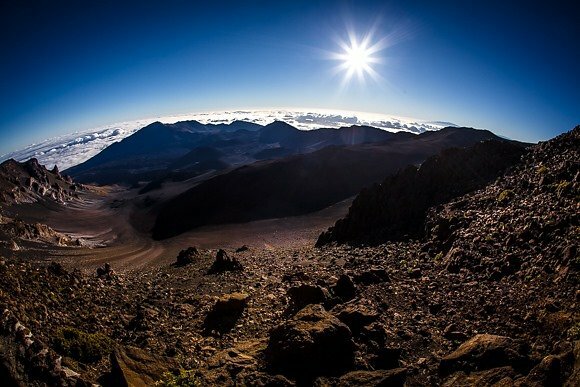 Sunrise on Haleakala, 10,000 feet above the Pacific Ocean on Maui (this should be on every photographer’s “bucket list”). Including foreground elements becomes increasing important as your field of view increases, but the results can be even more dramatic! While the curved horizon is eye-catching, the image would lose a good deal of its appeal, with the foreground rocks. So why not try this: put a wide-angle lens (zoom or single focal length) on your camera and leave it there for at least one week of shooting. Force yourself to see with a wide-angle perspective. Work hard to find some foreground interest, and I guarantee your wide-angle compositions will improve dramatically.